I had a Christening to go to today and needed a card. 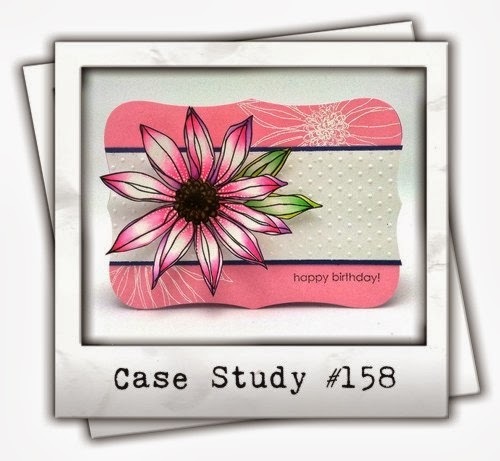 I used the Case Study challenge as my starting point. I liked the shape card idea, so I went with it but turned it upright. I used the Spellbinder's die to cut the base of the card out of marina mist cardstock. 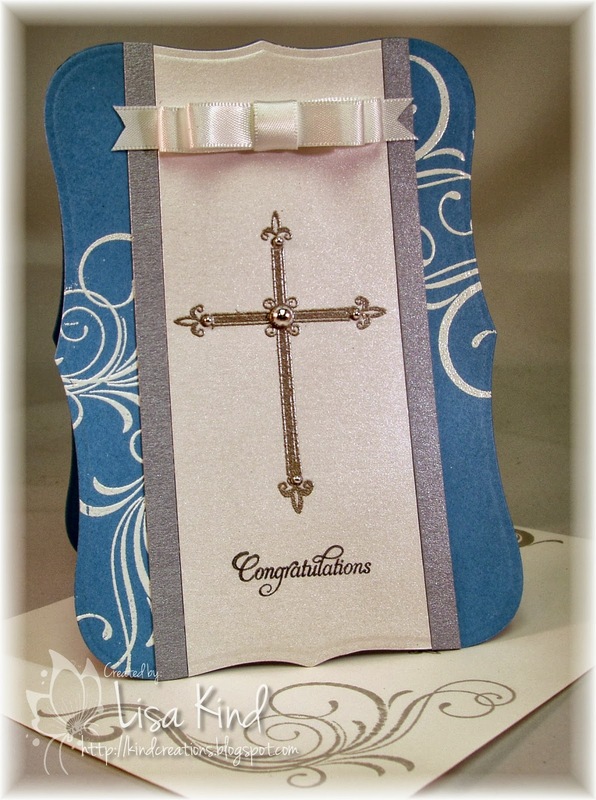 The flourishes were embossed with white embossing powder on the blue cardstock, and the cross was embossed with silver powder. 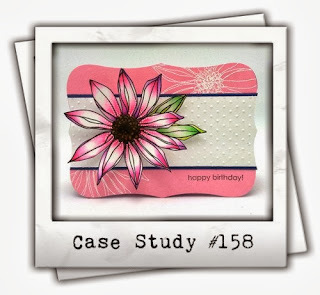 I added strips of brush silver cardstock on either side of the shimmer white paper. There are silver pearls added to the cross, and I made a double tailored bow from satin white ribbon. It's for a boy so I didn't want to get too girly with the ribbon. I also decorated an envelope with the flourishes and cross (which you can't see) in a gray ink. Congratulations on your Top 3 win, Lisa. It's a perfectly done shape card! 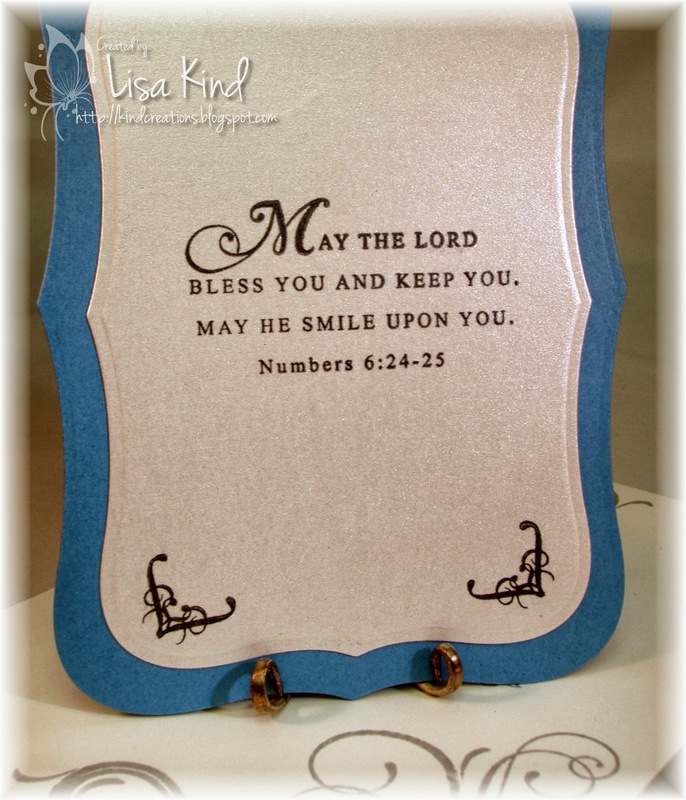 Gorgeous card Lisa! Congrats on your top 3 win!